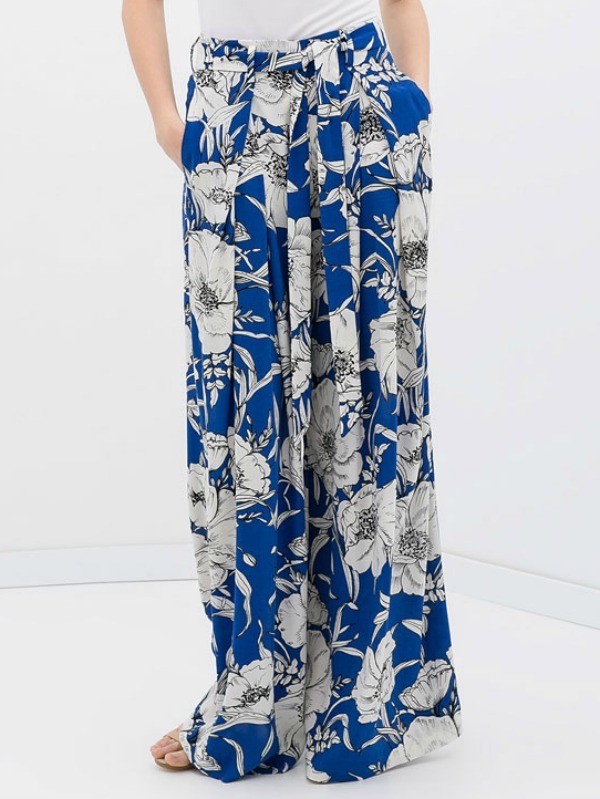 I’d wear these wide-leg trousers with a pressed chambray shirt for work… and with a bikini top and a straw hat for my summer holidays. 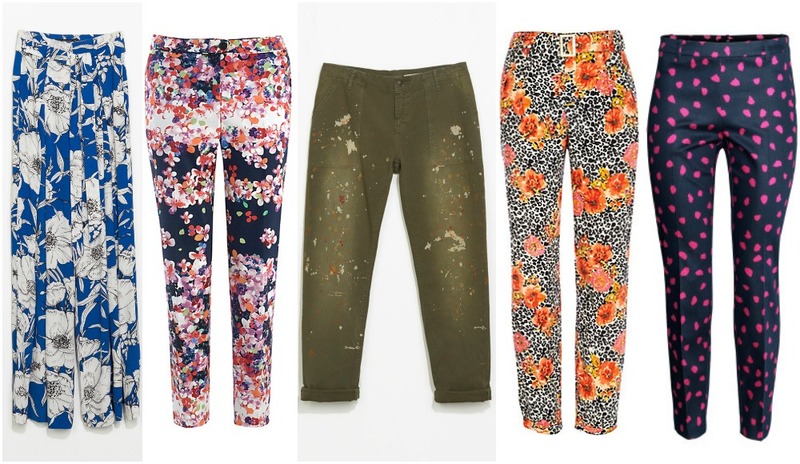 These floral trousers are so perfect for spring. Pair them with a clashing floral top if you’re feeling bold – or a solid pastel T-shirt and a pair of chunky low-heeled sandals. 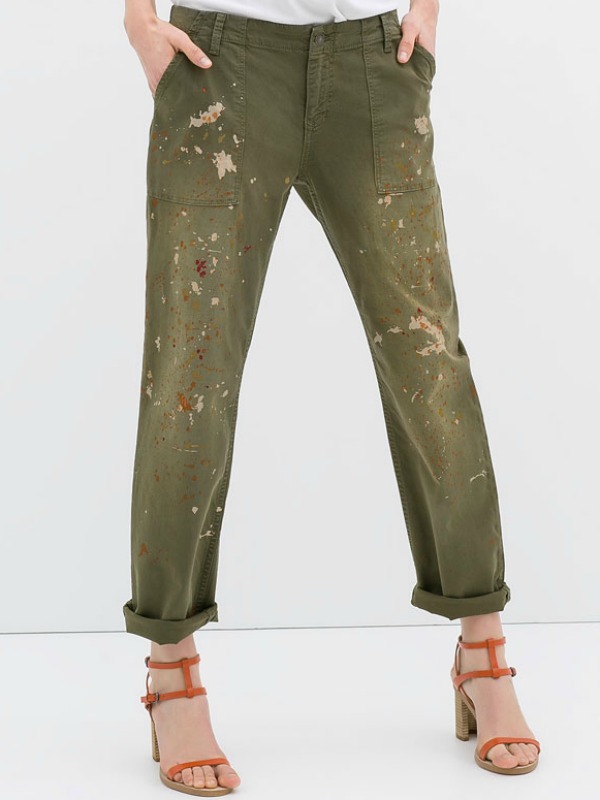 Okay, it’s not exactly a print – but somehow the paint splatters manage to dress up these slouchy cargo trousers. I’d wear ’em with heels only, to avoid looking looking like I’ve spent the day in DIY hell. 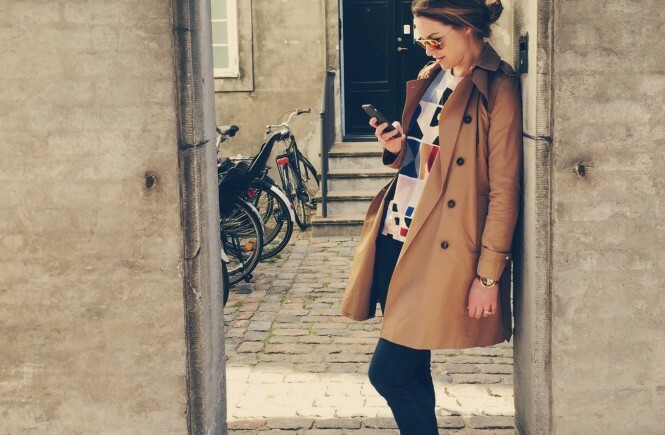 Now this is how you transition leopard print into spring. 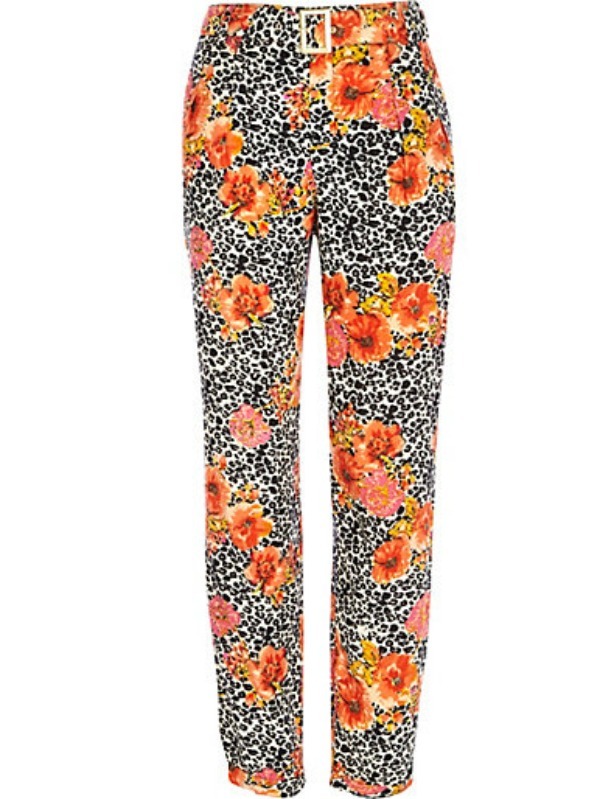 Wear these high-waisted trousers with a boxy black crop top and a pointy-toed heels. 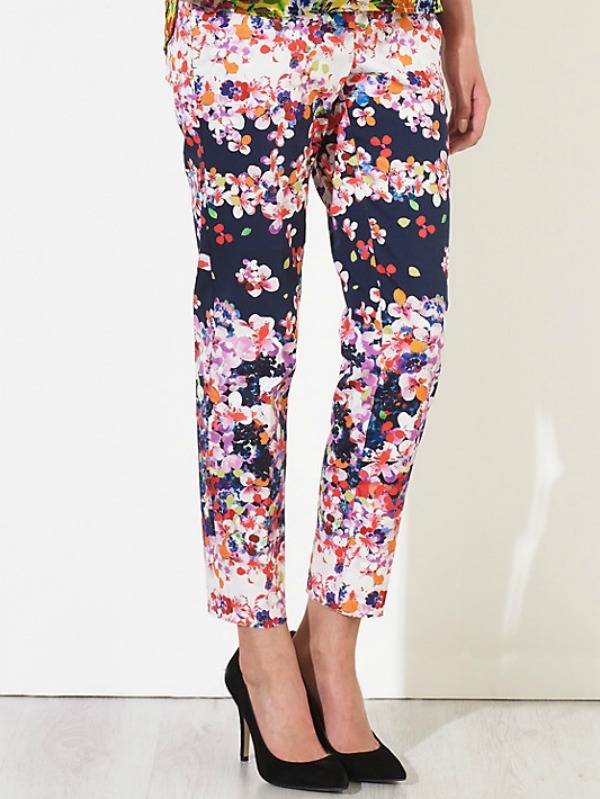 The pattern on these ladylike trousers is understated and playful. 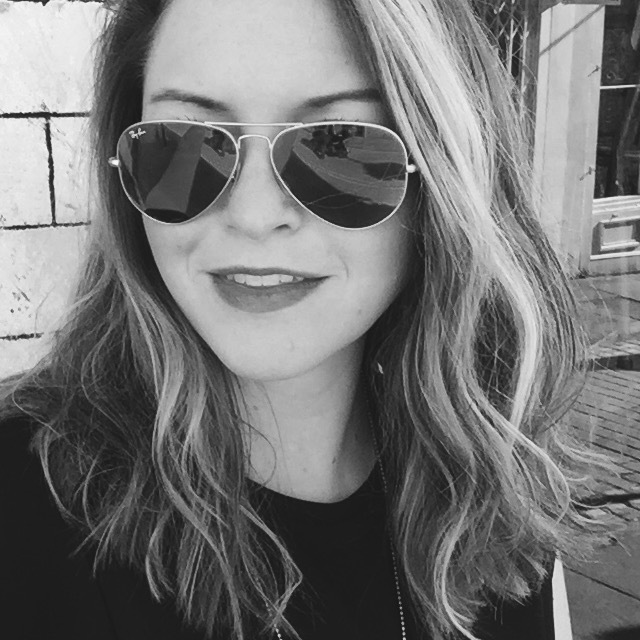 Plus, they can go from day to night in a snap.